Did you know that High Halstow has a national boxing champion in it’s midst? 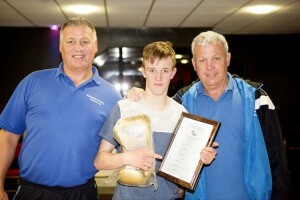 Jack Budge (17), born and bred in Harrison Drive, won the prestigious Junior ABA championship (54kgs) on Sunday 13th May in Sheffield, having previously beaten all the best boxers from around the UK in his weight category to reach the final. Jack (pictured with his trainers), who boxes for Brompton ABC, has also been picked to represent England in a tri-nation tournament in June. A future world champion – watch this space! This entry was posted in Blog and tagged Jack Budge. Bookmark the permalink.